The Hot Cat Jazz Band specializes in swing, big band jazz and classic rock (great for listening and dancing). The Hot Cats pride themselves on being able to offer their clients a very wide range of styles to please all ages. Their repertoire includes Swing standards of George Gershwin, Cole Porter and Duke Ellington; Big band hits of Benny Goodman, Glenn Miller and Tommy Dorsey: Popular songs from the 1920’s and New Orleans Dixieland favorites. 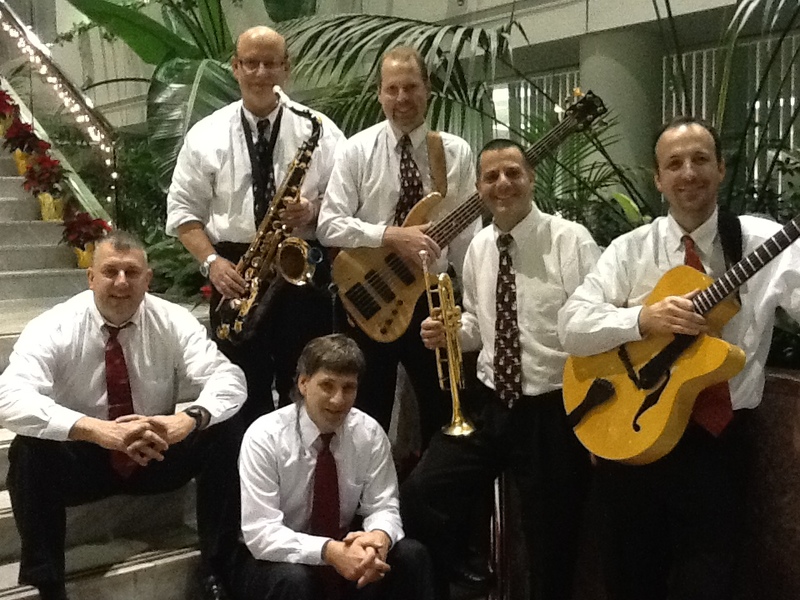 The Hot Cat Jazz Band can also perform hundreds of Classic Rock songs from the 50’s, 60’s, 70’s and today (Beatles, Elvis Presley, Jimmy Buffet, James Taylor, Van Morrison, Wilson Pickett and many others). After dinner is served, and you want to get your crowd up and dancing, the Hot Cat Jazz Band will kick up the energy with Soul Man, KC and the Sunshine Band hits; Sugar Pie Honey Bunch, Mustang Sally and I Feel Good. The Hot Cats can be found playing their infectious music for library’s, churches and summer gazebo concerts across the state. Since their inception, the Hot Cat Jazz Band has performed hundreds of “jazz worship services” while accompanying church choirs and the congregation hymns. 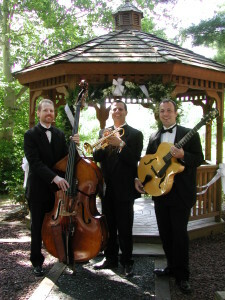 The Hot Cat Jazz Band is extremely comfortable performing their unique mix of styles (swing, Dixieland, big band, ballads and classic rock) for any type of gathering – wedding cocktail hour, reception, wedding ceremony, rehearsal dinner, holiday party, corporate event, wine tasting, silent auction, fundraiser, grand opening, backyard barbecue, cocktail party, birthday or anniversary party. 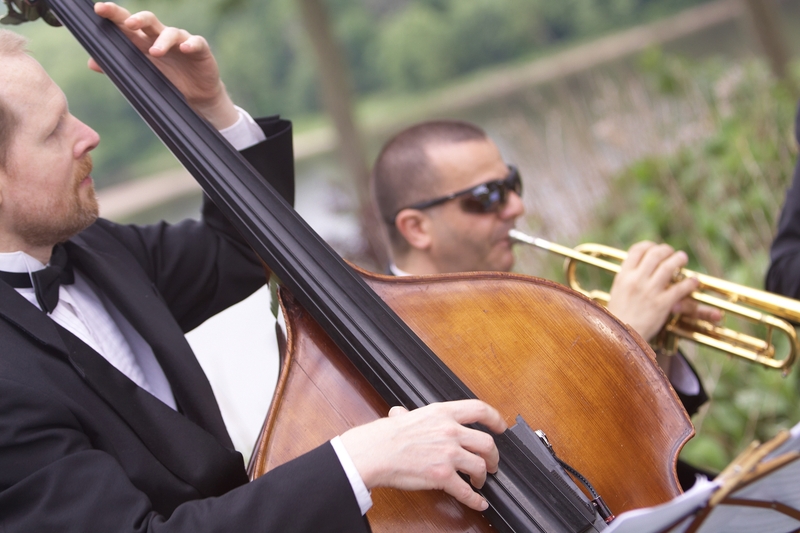 For a smaller, intimate gathering – the Hot Cat Jazz Band Trio or Quartet would be the perfect addition to your event. Lastly, if you are looking for soft, classy, elegant, fun background music for your party (so your guests can ‘talk’ and not shout to each other) – no one can play softer than the Hot Cat Jazz Band! Guaranteed!! !